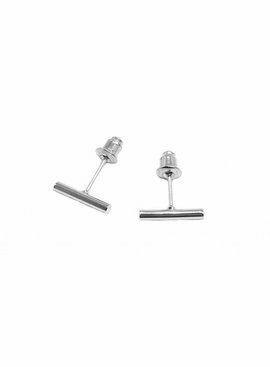 These stainless steel black round bar earrings are a must-have for the minimalistic lovers! Super easy to combine if you have multiple holes! These 8mm earrings are small but powerful! If you like jewelery, this must be a real one. Wear them anytime and anywhere. The minimalist design makes it easy to combine with other jewelry. Available in gold and black. Score them now! These earrings are small but powerfull! If you like bar jewelry this is a must have. Wear them anywhere, anytime. The minimalist design makes it easy to combine with other jewelry. Available in gold, silver and black. Score them now! These earrings are small but powerfull! If you like bar jewelry this is a must have. Wear them anywhere, anytime. The minimalist design makes it easy to combine with other jewelry. Score them now!